An original and novel routine for your children's shows. 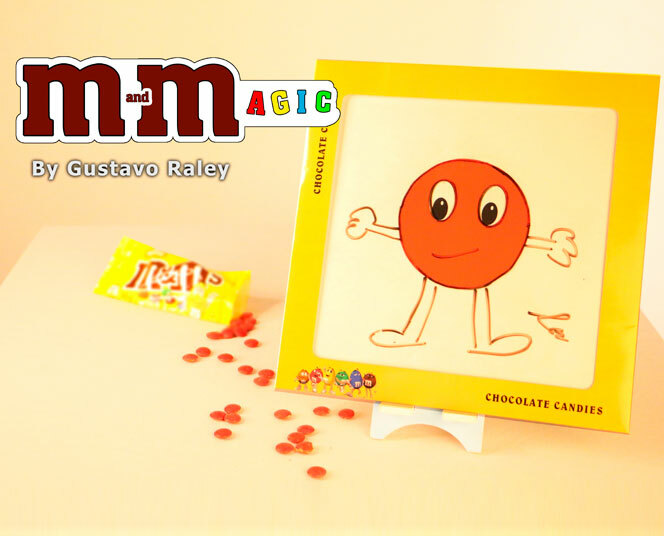 The magician shows a board with M & M chocolates motifs and gives the viewer to draw a picture of one of the M & M cartoon and place his signature. Then you choose from a catalog of colors of one of these, then the drawing is colored in a magical way of the color chosen by the viewer, then two more effects, the whole catalog is transformed from the chosen color and finally the magician appear a Package of M & M and is given by the assistant. An attractive routine with lots of magic, very easy to make and prepare for children to love for their color.